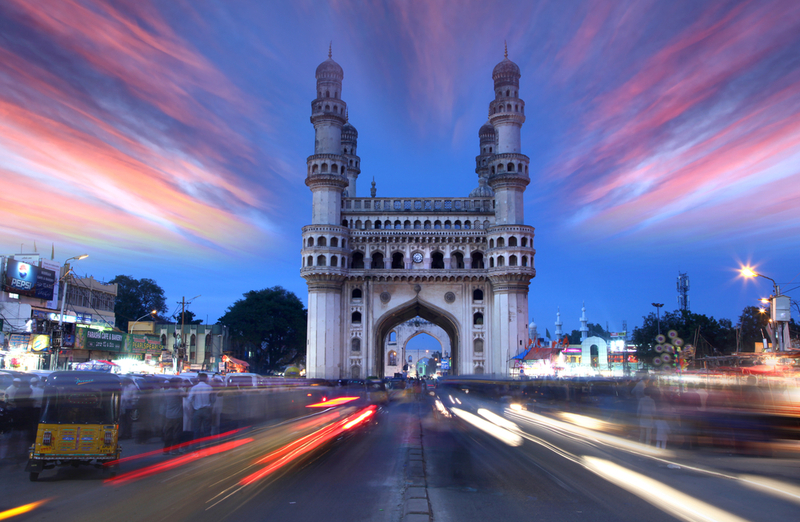 The city of Hyderabad has turned into a popular hub for IT companies. Starting from Google to Amazon, all biggies have their offices in sites like HITEC City and Gachibowli. In fact, the western and south-western area of the city have been designated as the technology township and is often referred to as Cyberabad. This includes the suburbs of Gachibowli, HITEC City, Madhapur, Jubilee Hills, Kondapur, etc eventually making these areas a common point of transit for business travellers. Gachibowli is a significant IT hub in Hyderabad located approximately 5 km from HITEC City. It houses some of the biggest MNCs such as Amazon, Accenture, Microsoft, TCS, Infosys, Capegemini, Virtusa, Deloitte, Polaris, and Wipro. No wonder, the neighbourhood hosts a large number of business travelers on a regular basis. This post is mostly dedicated to all such business travelers who wish to explore the city in their spare time. The guide will take you through the various experiences of Hyderabad city. Let’s take a look at some fun ideas to make your business trip to Gachibowli, Hyderabad more exciting than you thought! Commuting within the city is easy as the local transportation network is well distributed. Language shouldn’t be a bar as most people understand Hindi and basic English throughout the city. The reliable state government bus service will helpful to access different landmarks. The Metro Deluxe bus is always the better one as the region is known for its hot weather. Instead of hiring an auto, we suggest you book an Ola. This is because most auto drivers trick you into higher prices and longer routes and running on meter is mostly not the thing followed in Hyderabad. If you happen to lose your way, you can always get in touch with the extremely helpful traffic police of Hyderabad. Where to stay in Gachibowli? During a work trip in any city, all that a guest looks for is the essential set of amenities, hygiene, and a well-trained staff that helps make a comfortable and hassle-free stay. FabHotels offers a seamless business stay solution through its various budget hotels in Gachibowli, HITEC City, and Kondapur. FabHotel Eaglewood Gachibowli, FabHotel AVS Gachibowli Extn, FabHotel Hill View Gachibowli, and FabHotel Majestica Inn Hitech City are some convenient options to consider during a business visit to Hyderabad. Where to eat in and around Gachibowli? Dining – Due to the high number of business travellers coming around, Gachibowli has some of best dining options in the city. Verandah by Blue Tree, Frio Bistro, The Wonton, and The Foodie Monster Kitchen are some good restaurants to try in Gachibowli. Buffet – For people who love to have buffets, Gachibowli is just the place to visit. From budget buffets to lavish ones, the neighbourhood offers it all. Some places to try include Diners Pavilion, Serafina, Cascade, and The Fisherman’s Wharf. Cafés – Gachibowli is a haven for coffee lovers. With the laid back ambience and amazing menus, the cafes in Gachibowli are absolutely one of the things to do in Hyderabad. Deli 9, Café Eclat, Here’s What’s Cookin’, and Drunken Poet’s Café are extraordinarily amazing places to try lip-smacking desserts and delicious coffees. Karachi Bakery – It is a no-no if you do not buy yourself a box of the famous biscuits of Karachi Bakery especially when a store is present in Gachibowli. Go, grab yourself yummilicious biscuits. A lot of business travellers prefer going out for drinks after the day ends. Also, the huge number of youngsters that come around in this area makes it a ground for music, drinks, and celebrations. The good part of nightlife in Hyderabad is that it is budget friendly unlike the ones in Delhi NCR or Mumbai where it is more than obvious to burn a hole in your pocket. SKYHY, Mustang, Drunkyard, 10 Downing Street, BPM, Link, and The Lal Street – Bar Exchange are some of the exciting places to hangout with friends during the night. The proximity of these places from our hotels works like the icing on the cake for a business traveler. No need to turn down that party invite anymore! Guests who wish to take a city tour can explore places like Golconda Fort, Qutub Shahi Tombs, and Chowmahalla Palace. For shopping, guests can head to the nearby Jubilee Hills, a posh neighbourhood that lines up all brands and pearl jewellery for its buyers. Alternatively, guests can also head to the Inorbit Mall in Madhapur that offers an amazing shopping experience. The city of Hyderabad offers a plethora of experiences for the business travelers. Ranging from various attractions to the vibrant nightlife, there’s a lot to explore in Hyderabad. And why not indulge in the same while you are in the city for work? Say goodbye to boring business trips and add a dash of fun to your work trips to Gachibowli, Hyderabad. Words and travel, Harshita is hungry for both. Exploration throbbing through her veins, she’s always in search of words, destinations, sumptuous food, great coffee and stories.